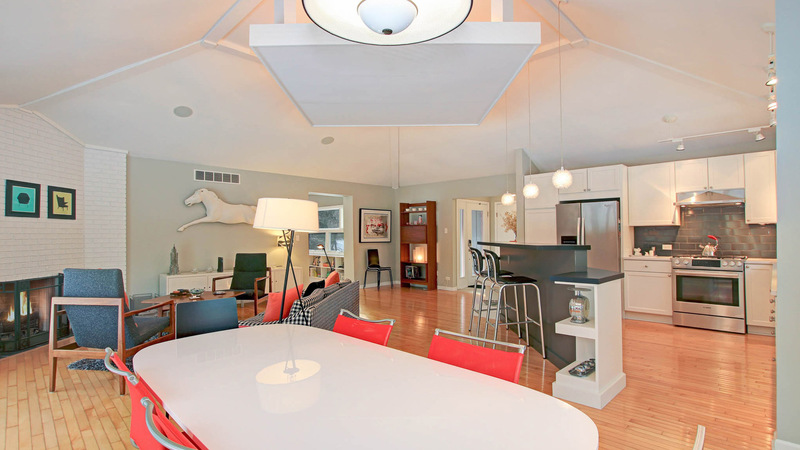 We love the retro styling of this cottage. It's easy to keep a low profile. The deck and patio wraps around the back of the home. Everything has a place and your's is on the couch. A pink door is all that stands in your way. This hub welcomes light and provides access to the outdoors. There's room to work in the kitchen. A place for games, meals and crosswords. Nothing beats sitting around a crackling fire. Space for how you like to unwind. 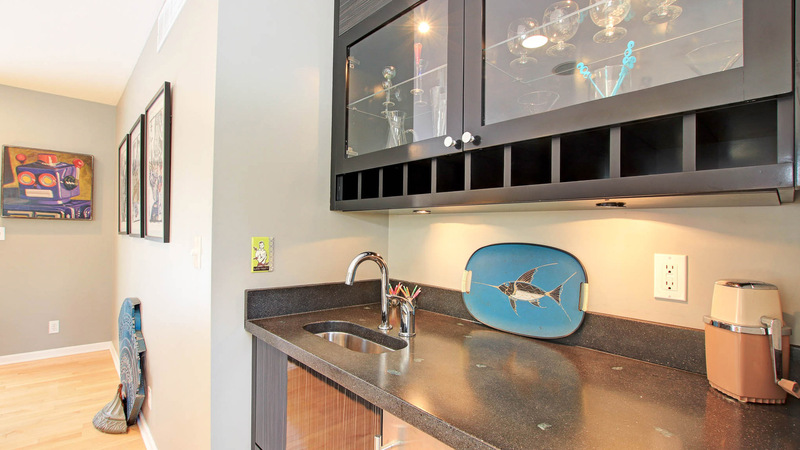 A wet bar for mixing drinks and cracking cold ones. Access to the outdoors is ever present. Walk the wrap around deck to take in the setting. Rejuvenate the body and mind with time in the hot tub. A quiet space for sun-dappled barbequing. Our favorite evening activities include s'mores and star gazing. Access the hot tub directly from the master bedroom. A dream walk-in closet come true. A tile shower with tub in this guest bathroom. The view pulling into the driveway. 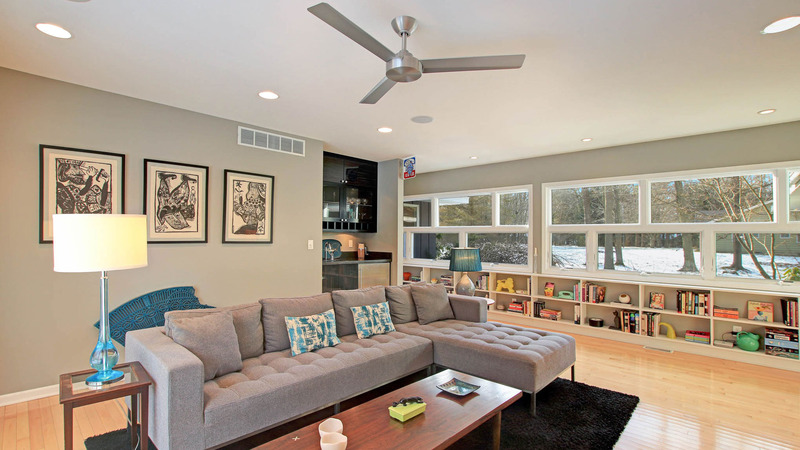 This lakeshore cottage with a modern flair is hidden at the end of a private drive across the street from public Lake Michigan beach access at West Side County Park. 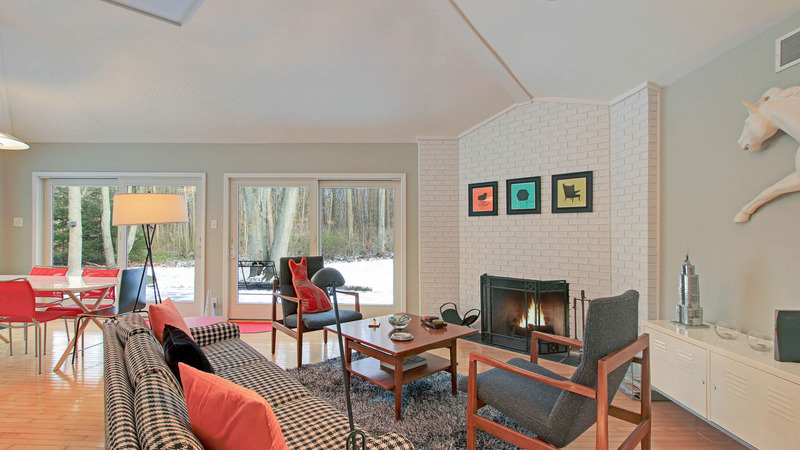 Located 10 minutes south of downtown Saugatuck this pet-friendly abode can be your Lake Michigan respite within reach of the resort town life. The wrap around deck is accessible from most of the house including the master bedroom allowing for easy access to the hot tub on cool summer evenings or for an invigorating winter soak. A spacious flagstone patio extends from the deck where grilling, al fresco dining and a fire pit are to be enjoyed. The interior is curated with a mix of vintage album art, movie posters and pop art colors. The kitchen, dining area and sitting area with wood burning fireplace are connected in an open concept. In a seperate living space you'll find a TV and bar with mini fridge. 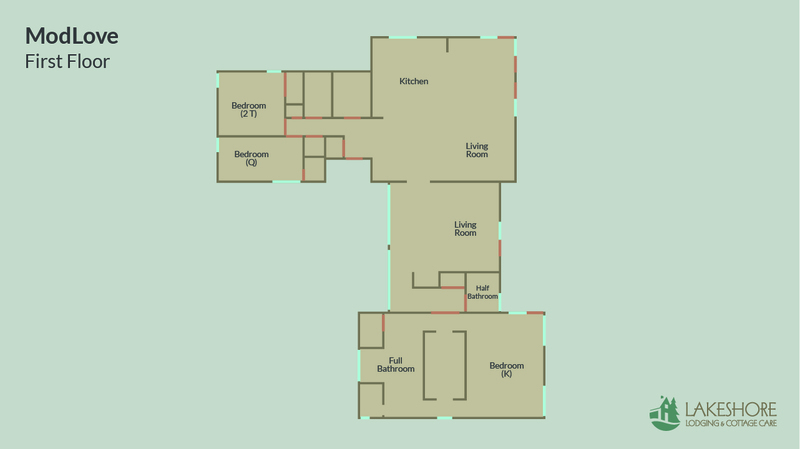 The master bedroom wing features a king bed, large walk-in closet and spacious bathroom with double vanity, makeup vanity, bathtub and a walk in shower with a rain shower head. On the opposite wing of the house are two guest bedrooms with two twins and a queen respectively. The guest cottage which adds a 4th bedroom and 3rd full bathroom allows for a total occupancy of eight is only available May through October. We are unable to accommodate eight people outside of these months. Public access to Lake Michigan beach is a 5 minute walk from the home.